A few weeks ago I wrote a post with ideas for how to wrap one brown paper kraft gift in 5 different ways. It was hugely popular and is now one of the most read posts on the blog. You can read it here if you missed it. In the lead up to Christmas it's clear that people are starting to think about gift wrapping ideas and I've had some emails and comments on social media asking me to do another gift wrapping post. So here it is! Today I give you 5 ideas for how to use a (very cheap!) white swing gift card. You can pick these up for a few cents each from here. 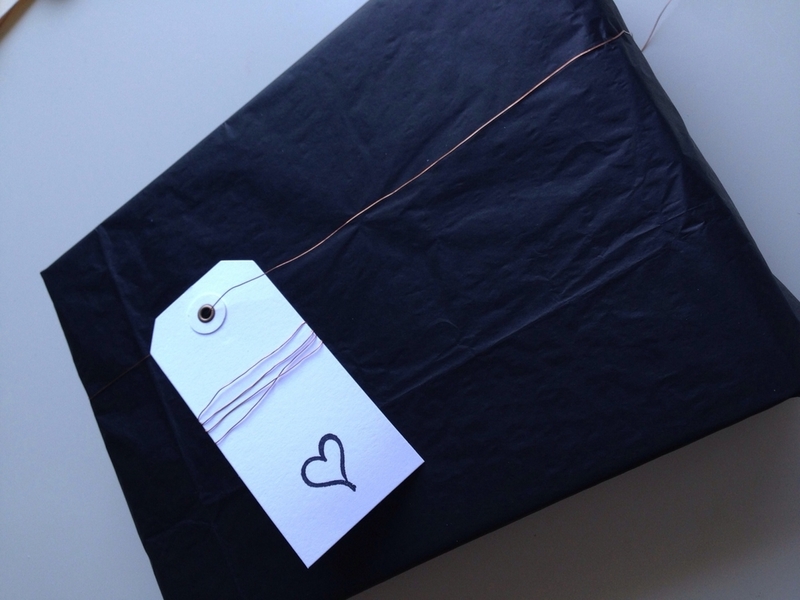 This gift is wrapped in simple black tissue paper, but I love how it actually looks a big like linen. For the card, I used some different shaped stamps I had to make the deck of cards pattern on the card. I then stuck it down with some graphic washi tape. Very simple and effective and suits a gift for one of the men in your life! I had some of this chevron wrapping paper I had bought a while ago left over and thought it might work well with this next idea. 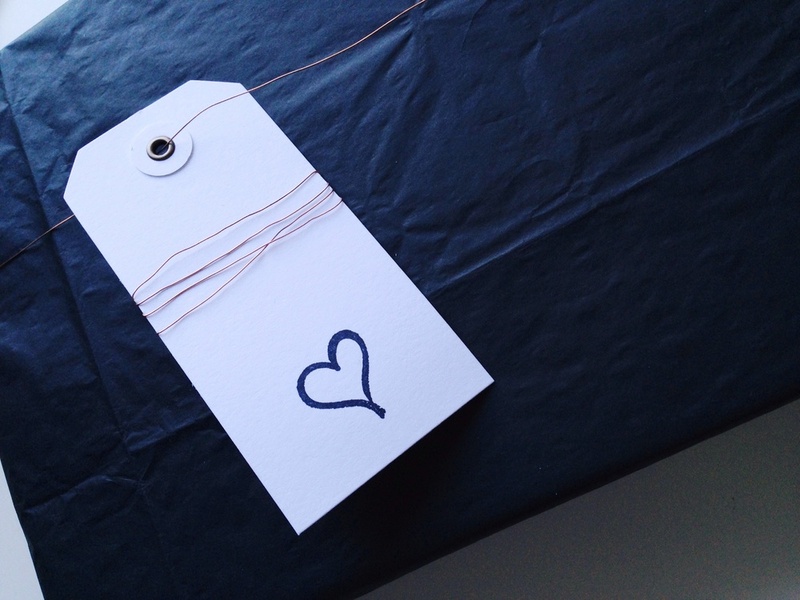 The gift was very tiny so the swing tag makes quite a statement against it. 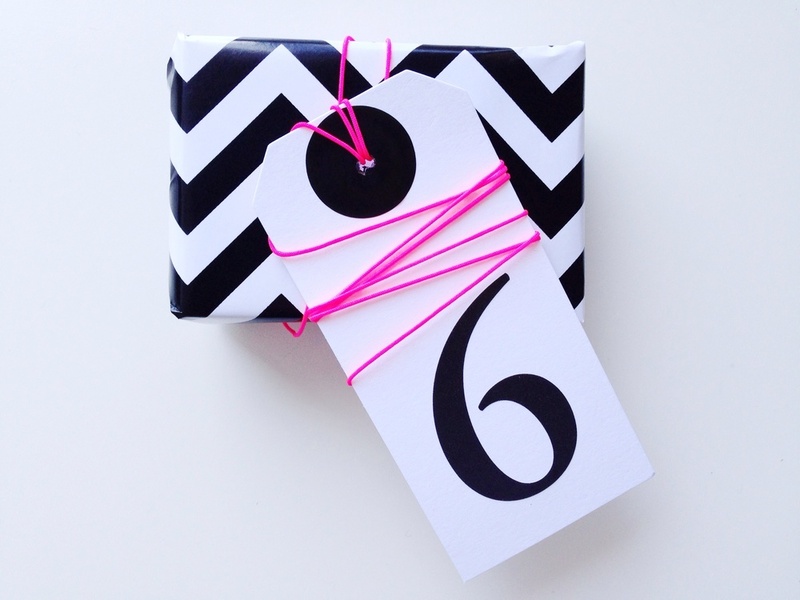 I wrapped something up for my son to give one of the girls in his class for her birthday - so a big 6 sticker represents her age. 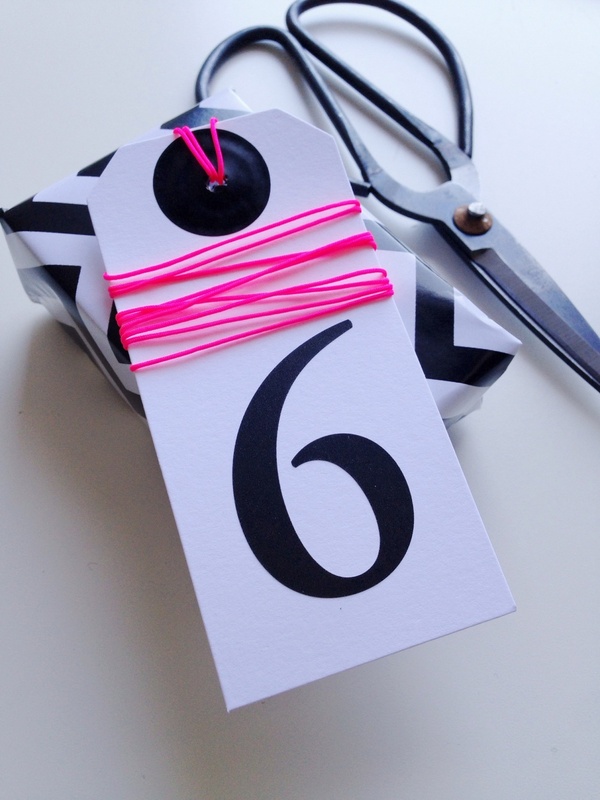 I included a pop of pink with the neon twine I used to wrap around the tag and gift. Copper still remains on trend at the moment so when I found this copper wire in my ribbon box I thought it would work perfectly in this project. I simply wrapped some around the card and secured it at the back with tape. I then threaded the card on to some extra wire that I used in place of ribbon on the present. The tag was embellished with a chalkboard sticker. You can write the recipients name or initial on the spot with chalk or a white pen. Secured the kraft paper bag with a peg and you're done. Very, very easy. 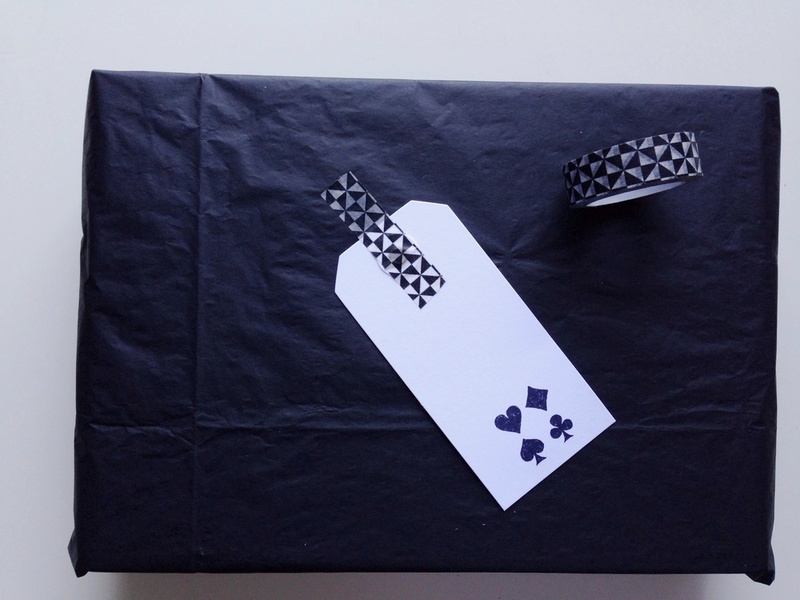 The gift was once again wrapped in black tissue and I used a formal black and white ribbon for this look. I used some mini alphabet stickers to spell out the message and secured with some black linen ribbon. Thanks for the messages on these posts. 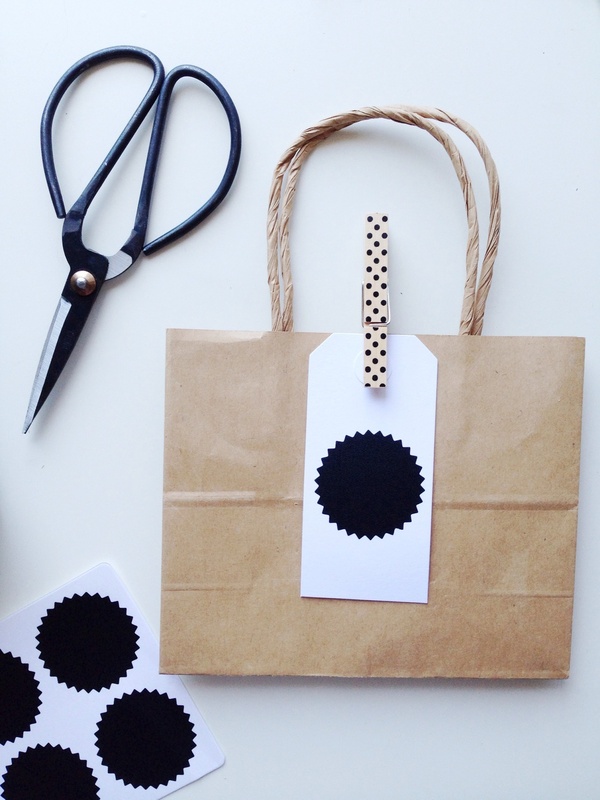 If you would like me to try other DIY wrapping ideas, get in contact! Room Tour: Have a look around the black and white bedroom I've designed for my youngest son. 10 on-trend styling ideas to create the wow factor in your home!